Pokemon Go is Having a Large Impact on Communities; Can it Impact Trash Cleanup? How many of you play the new Pokemon Go app game? I bet the majority of you who own it, play it every hour and day to catch those digital creatures in areas within your community that you may or may not have visited before. What if I told you that local businesses, animal shelters (only the Muncie Animal Shelter so far), and national parks are starting to take advantage of this game to promote business, exercise with dogs, and exploration for nature’s beauty. Very recently made articles explain how the benefits Pokemon Go bring to the community through exploring and exercising of the consumer. 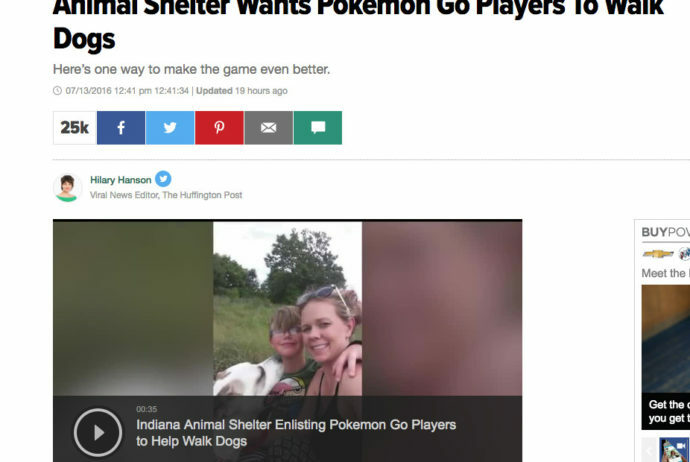 Now how can Pick’n Run take this enthusiasm the consumers are having while playing Pokemon Go and get them to pick up trash whenever they go outside to play? That is a question that we are thinking about as we are developing our PnR mobile app.